A new process of regional assessments could help address big picture issues surrounding proposed resource projects, write Ken Coates and Bram Noble. The federal government’s commitment to fixing Canada’s environmental assessment process appears to be going nowhere fast. Recently Indigenous participants walked out of the Ottawa meetings aimed at EA reform, declaring themselves upset that the government had proceeded with development work without Indigenous involvement. The federal government had promised to reform the major underlying legislation and co-produce EA policy with Indigenous representatives. Yet, as Assembly of First Nations Ontario Regional Chief Isadore Day commented, "It's a sad story but we have become strangers to the process. … I'm sensing we are in darkening times when it comes to sunny ways of this prime minister and his commitment to nation-to-nation relationship." Making progress on this file is vital. The National Energy Board has been subjected to extensive and overwrought criticism, and a high-profile study recommended its effective elimination. The EA processes for the Kinder Morgan Trans Mountain pipeline and other projects have become battlefields. Energy East is dead. The word is out that Canada has become EA quicksand. Governments, Indigenous communities and resource companies agree on the need for comprehensive, accurate and effective environmental and social assessments of proposed resource projects. So how can we do better? We should start by acknowledging the limits of project-based environmental assessments. The established procedures were never intended to tackle big picture issues such as downstream greenhouse gas emissions or the future of the Oil Sands. A big part of the answer is to ask project-based EAs to do less, not more. Canada should create a new process of regional assessments to address the big picture issues first – before individual project proposals are on the table. In the current system, the discovery of a resource deposit starts the clock ticking for governments and corporations. This, in turn, puts enormous pressure on Indigenous communities to get in line with the project. The environmental and social effects of the proposed developments must be understood. Plans have to be in place to mitigate against potential ecological and social disruptions. Consultations with Indigenous peoples have to be rigorous and comprehensive. Further, the accommodations and compensation provided to the communities must be appropriate and effective. With these parameters understood, the work is typically turned over to technicians charged with completing the environmental research and analysis. All the while, costs to the companies mount, governments wait anxiously for the anticipated jobs and tax revenue, and Indigenous communities wrestle with difficult local decisions. But there is a better way: Do not wait for companies to identify a specific property or site to be evaluated. Instead, develop a collaborative approach by government, business and Indigenous communities that covers broad regions, like Ontario’s Ring of Fire or the Western Arctic. This approach has already been tested on a smaller scale in the Great Sand Hills region in Saskatchewan. Such a practice is also unfolding in British Columbia’s coal-rich Elk Valley. The regional assessment would review the natural environment, Indigenous land and water use and areas of cultural and spiritual importance, provide a comprehensive evaluation of ecologically and culturally sensitive areas, and explore the potential future outcomes under different types of development. Indigenous communities would work with other interested parties to chart areas of environmental, cultural and spiritual vulnerability. These baseline studies would be updated over time – a crucial requirement given changes to the environment. Proactive measures like this could transform the development process in Canada. To be effective, regional assessments would require regional government-to-government negotiations with Indigenous authorities. Subsequent government actions and corporate decisions would have to respect and adapt to the regional assessments. Industry participation is essential, due to their technical and commercial knowledge. Regional assessments would empower Indigenous communities while respecting the interests of industry and governments. They could break the current pattern of expensive, time-consuming and confrontational environmental assessments that give limited space for Indigenous cultural input. You can’t satisfy everyone. Some environmentalists are intractably opposed to resource development, and have used the current EA process as a weapon in a much broader and different battle. But the majority of Canadians are prepared to support projects that are environmentally sound, respectful of Indigenous interests, and economically viable. Canada’s economic future cannot be held hostage to unreasonable demands. Nor should it be held hostage to confrontational and manipulated assessment processes. It is possible to create a process that is less expensive, faster, fairer, more effective and more responsive to Indigenous needs and aspirations. 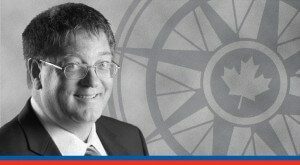 Ken Coates is a Munk Senior Fellow with the Macdonald-Laurier Institute (macdonaldlaurier.ca). Bram Noble is author of the recent MLI study on EA reform, titled, “Getting the Big Picture”.